It is a fact that having a good toilet in this age and day is of the utmost importance, but it is often an overlooked area in the modern household. 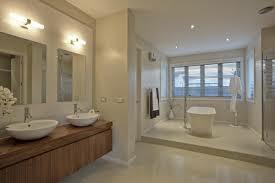 It is simply not possible to call any house a home if it doesn’t have an immaculate bathroom in place. If you exercise caution and do plenty of research, you will be able to find a number of great models that will be as per your needs. There are a number of factors you need to consider such as durability, comfort, seat, rim-cleaning and their eco-friendliness before making a decision. Similarly, there are different types of toilet available like one piece or two piece and with different flushing systems like dual-flush or even composting toilets. This is a two piece toilet from the Kohler brand that is equipped with some spectacular features. It has incorporated the AquaPiston flush technology for meeting with the EPA flushing standards and it also allows you to save at least 20% more water than other traditional models. Thanks to the range of features it possesses, this model is considered great for home use. First of all, the design is such that you feel you are sitting on a chair and there is no need to extend yourself. Secondly, it has an elongated bowl that offers you comfort and extra space. It is also aesthetic and comes with an affordable price tag. Two professional sailors actually designed this unique models. They were after an off-grid toilet and believed that none of the best composting toilet models in the market were very user-friendly. Therefore, they came up with this model and it has been a smashing success. It is built quite well and has a sturdy feeling to it. Moreover, it works quite reliably, has a reasonable price tag as opposed to its competitors and can be installed very easily. The creators behind Nature’s Head wanted to develop a self-contained system that could be used anywhere, even if there wasn’t any electricity or plumbing. The dry composting system has made it quite popular as it separates liquid waste into different containers. The dangers of odors escaping or leakage are reduced due to the absence of water. Thus, the solid tank doesn’t smell that bad and comes off as regular dirt. Also, it needs to be emptied after every few months or so. Made by one of the renowned brands in the industry, this is a modern toilet that offers you a horde of nice features. It boasts the double cyclone technology for flushing, which is effective in cleaning and flushing out the waste and has a chrome plated trip level. This one piece design is also very efficient and uses less water. This modern and symmetrical toilet is available in white and can be found in plenty of homes and restrooms, even though it might be a bit expensive due to high quality.